Tet holiday – the biggest holiday in the year of Vietnamese people – is coming. To celebrate Tet and welcome spring, Nha Trang will hold a lot of interesting activities on Monkey Island and Hoa Lan Stream. Monkey Island is a lovely place to visit featured by beautiful beaches, charming sceneries and especially 1,500 monkeys living on. 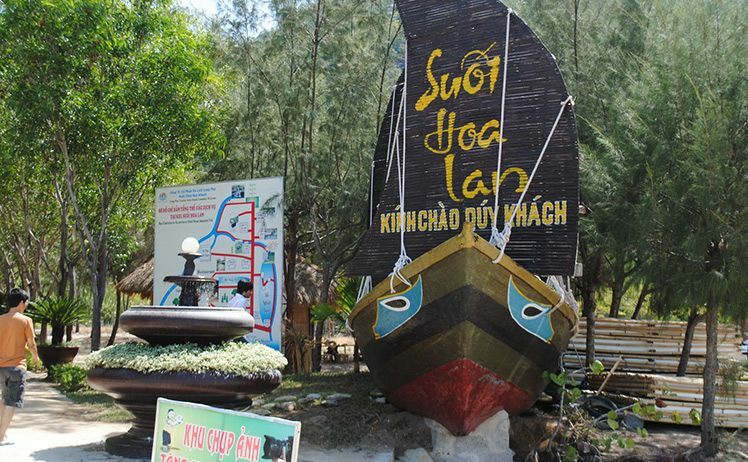 The island is just 10 km from Nha Trang’s centre which is so easy to visit by boat, ferry. Visiting Monkey Island at this time, tourists can join plenty of activities including coracle competition among local fishermen, traditional folk games, seafood market with various local products at very cheap prices, stilts performing with traditional costumes, music performances, etc. At Hoa Lan Stream area (Hon Nai Island), visitors will have chance to see colorful space of mickey-mouse flower’s forest and orchid street. Interesting activities include water scooter performing, folk games, bird circus, etc. Besides, a culinary fair with more than 100 traditional cakes from various regions across the country will be held at Viet Huong restaurant. Coming to Monkey Island and Hoa Lan Stream at this time is a great way to discover the traditional activities of local coastal residents on Tet. Three most favored street vendors that you cannot miss in Hanoi.